Cody Starbuck Portfolio by Howard Chaykin (1980) | 'TAIN'T THE MEAT… IT'S THE HUMANITY! 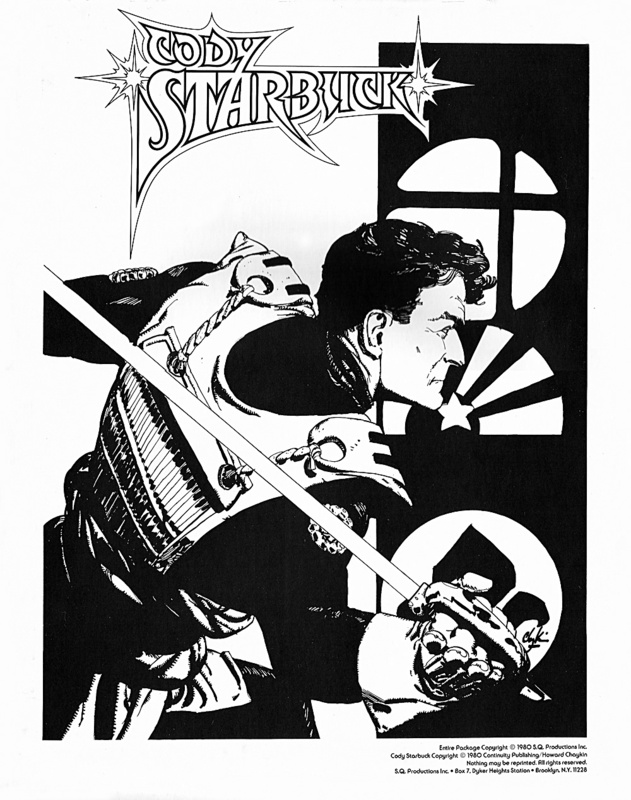 Swashbucking science fiction hero Cody Starbuck was created by comic book artist Howard Chaykin and debuted in the first issue of Star*Reach magazine in 1974. 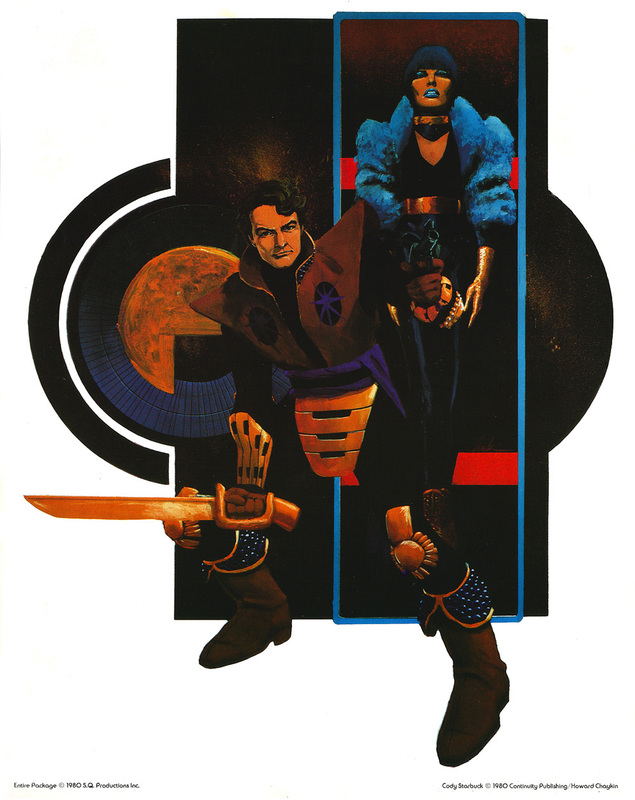 Starbuck, an amoral Errol Flynn analogue starred in Chaykin’s violent and sexually explicit space opera, appearing infrequently in Mike Friedrich’s black and white anthology comic until the character moved to Heavy Metal magazine in 1981. There the character would appear in five issues before disappearing completely. 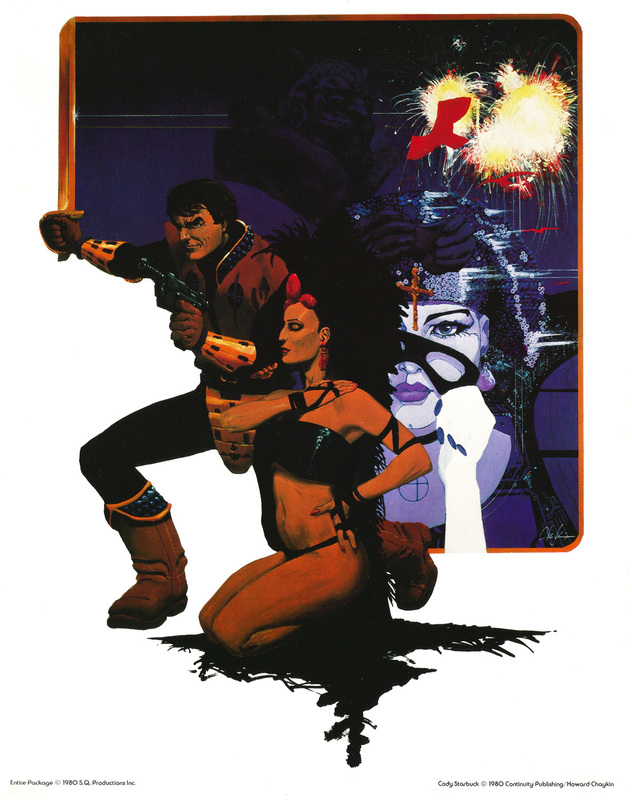 However, the theme of a morally ambivalent and sexually adventerous hero would be one that Chaykin would revisit again, most notably in his American Flagg series of the mid-Eighties. 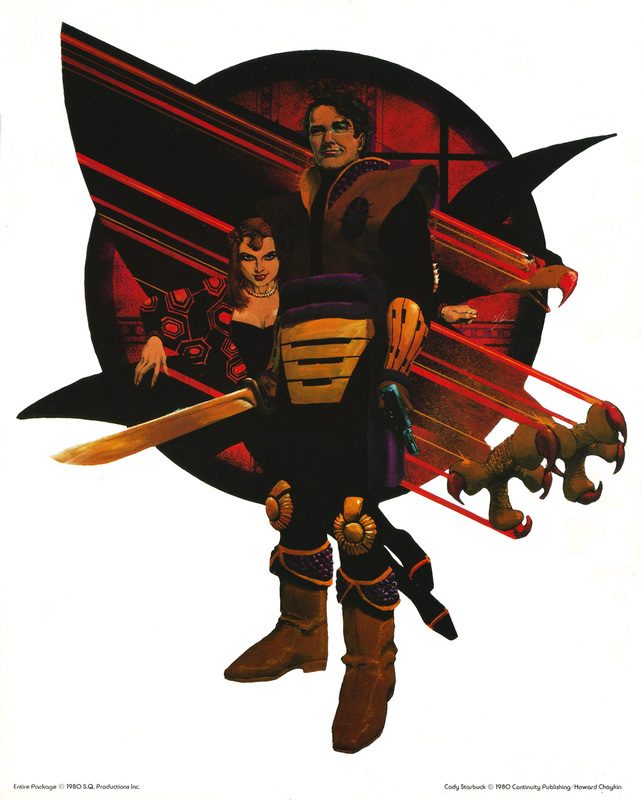 But before Starbuck moved to the science fiction and fantasy digest the character would appear in a portfolio collection released in 1980. Published by SQP (‘natch) the Cody Starbuck Portfolio contained four full-colour plates that shipped in a black and white envelope. Each print was printed on cardboard stock and measured 11 x 14 inches. 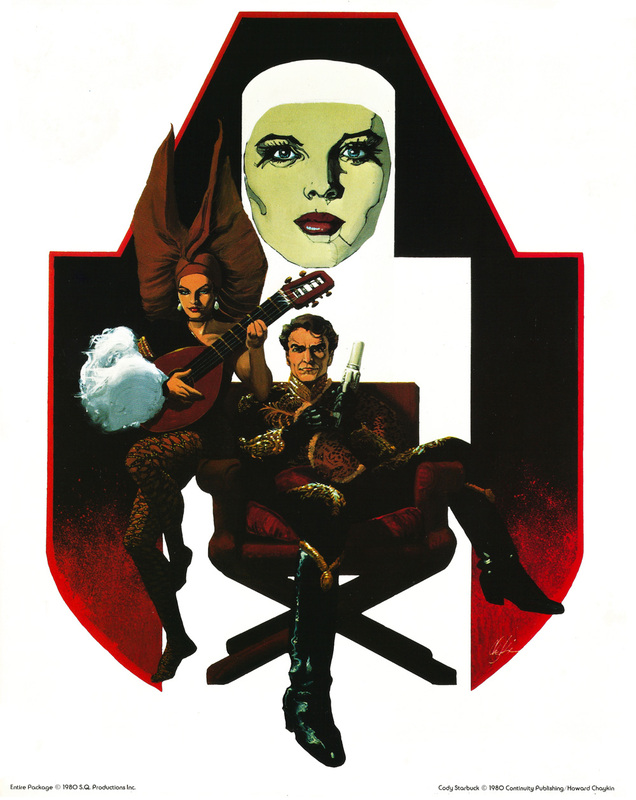 The four paintings reflect Chaykin’s love of pulp fiction book covers and his strong sense of composition and design is evident in each print. Unlike other portfolios by SQP the reproduction of the plates is quite dark and murky so I’ve brightened the images slightly to bring out more of Chaykin’s detailed artwork. The four plates, which were not titled or numbered, are below – click on the image for a larger version. And click here for more portfolios from SQP.